November 2013 Budget Roundup = $218,189.27 or an increase of +$7052.57 or +3.34% | Save. Spend. Splurge. I can’t believe it’s November already. WHERE DID THE TIME GO? WANT TO BUY A PAIR OF DESIGNER SHOES FOR CHEAP? I am selling a size 37.5 pair of Manolo Blahnik pumps for $165 plus shipping. ALWAYS CHECK YOUR RETIREMENT CONTRIBUTION ROOM! I have been battling this year with my papers trying to figure out where in the world about $15,000 of contribution room in my TFSAs went. Turns out, ING Direct simply effed up and didn’t report my TFSA room (it’s a lot like a Roth IRA in the U.S.) as being withdrawn in the year 2012. This is just another example of how inefficient companies and governments are at working together, and the onus is on the individual to fix the problem to avoid being penalized. Anyway, check your retirement contribution room and make sure it makes sense. Next year in 2014, you should have another $5500 available as contribution room to stash some dividend-paying stocks, or buy some individual stocks for fun… or your safest bet? Index funds. CANADIANS — DO YOU OWN U.S. STOCKS INDIVIDUALLY OR IN INDEX FUNDS? The IRS withholds 30% (as a tax) on U.S. stocks, even on foreign investors. You can get this reduced (potentially) down to 15% if you fill out that W-8 BEN. P.S. Use my Questrade referral ID (o0soehds) and get $50 in free trades. Just in case you haven’t already done so, put a beneficiary name on your registered retirement accounts (RRSP, TFSA, 401K, etc). I just checked today to make sure I did it, and lo and behold, it was totally.. entirely.. missed by me. I quickly put a name on the account so that at the very least, I can pass my assets over to my partner without him incurring any kind of tax in the event of anything happening to me. I also have a will in place (will update once Baby Bun arrives), but .. better safe than sorry. Somehow I expected this to be worse because of the sales from Black Friday. BF has been stalking the stores for sales on things we’ve been waiting to buy for the house for when we move back to Montreal (namely a specific set of cutlery from France..), and I kind of expected it to just explode this month but it didn’t! I think the real damage will come in December. Black Friday @ Future Shop = Dyson going on sale for $400 when it normally retails for $450 and NEVER goes on sale. SPENT: A lot on stocking up for Baby Bun’s arrival! Toiletries, staples (flour, pasta, etc)… we’re stocking up for when the baby arrives so that we don’t have to rush out and buy food that would be heavy or cumbersome to carry back with a baby. We’re hoping to just have fresh food purchased when the baby arrives, rather than also having to stock up on staples and soap. I think the better question would be: What DIDN’T I splurge on this month? At least she won’t be cold any more. I will say that my collection of coats has significantly increased this year. I sold a FLWS (1-800-Flowers) at $4.78 for a net profit after my Questrade commission of $9.95 of $798.91 or 30.88%. I was a bit greedy with this stock. I had an inkling I should have sold it at $7 way back when it hit its high (much like my intuition with Blackberry when it hit $18), but at least I learned from my mistake this time around and got out before Amazon comes in to basically destroy the 1-800 flower business. I sold APT (Alpha Pro Tech) at $2.00 for a net profit of $863.65 or 28.89%. The S&P 500 Index has returned about 26.5% to date, so I beat the index by a measly 3% – 5%. *shrug* Nothing to crow home about. The one stock that has most disappointed me so far in my portfolio is Rogers Sugar (RSI.TO), but.. hey, sugar isn’t going away any time soon. I mean have you seen our obesity rates? More than 1/3 of Americans are obese, and Canadians are not too far behind, not to mention that China is starting to catch up too. I was also hoping that with that little sugar shortage problem they were having in Brazil it would bolster the stock but that didn’t seem to do anything. I think Rogers Sugar will end up on my Festivus’ “These are the ways you have disappointed me this year” list. These are just from individual stock holdings, which comprise of less than 50% of my overall portfolio of $145,000 (which includes index funds), or about 33% of my net worth. I also don’t include this as income each month because I set it up on a DRIP and I re-invest the dividend back into buying more stock, it isn’t actually cash-in-hand. I am currently averaging an income of about $237.75 per month, and I try to hold dividend stocks in my TFSA so that I don’t have to pay any taxes. I wasn’t very witty this month so it was easy to pick 5 I liked. I got nominated for the Versatile Blogger award! I’ve been blogging since 2006, but sold my 2 blogs in 2012. Charles very much approved of my post about how parents need to do their damn job as a parent and had an inspiring post that made me write my own version of how I saw money when I was growing up. Nelson crawled out of his blogging stupor to feature my post on how it’s more profitable to get on social assistance than it is to work minimum wage in France. Jessica (met her in real life and she’s so sweet! ), linked to my post on Holiday Gift Ideas for Under $100 (For Her). Fig liked my piece on finding the perfect pair of jeans to wear, and along the same fashion lines, NZ Muse appreciated my post on minimalist wardrobe essentials for men and women and so did Maria from Principled Money and Urban Departures (love the name!). Also, if anyone is feeling generous, Fig would like you to buy her everything on my Traveler’s list. Charles kindly linked to my post on how it is better to be on welfare than to work in France. 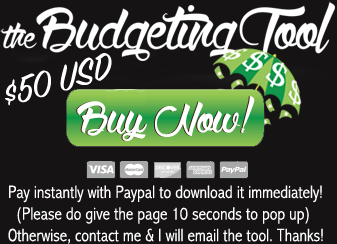 The Budget Bloggess stumbled across Garth’s post via moi! Erin wrote a nice letter to her mother explaining why at 24, she is not going to have kids.. yet, and linked to my Canadian cost of a baby for proof. Lifestyle Carnival #78 and Lifestyle Carnival #79, Lifestyle Carnival #80, Lifestyle Carnival #81, and ..oddly enough #81 again! I am expecting to spend about the same or more in December with more sales coming to the forefront so that we can pick up what we need for our future household (e.g. cutlery) on sale. I will also be keeping an eye on my stocks as this is kind of the month (and January with the Santa Claus rally) that stocks will explode on the stock market and then go downhill. Your passive income is impressive- even despite all your spending, your network continues to creep up (and significantly). Questions for you, when are you due and when are you moving to Montreal? How does the canadian stock market compare to the US? Does the returns mirror the US or is the performance a lot different? I find it strange you get taxed on stocks outside Canada while I can buy canadian companies under ADRs and only subject to US taxes. @Charles@gettingarichlife: The Canadian stock market is too small compared to the U.S. We do not have enough stocks to have the diversity you do in the U.S. and our economies are dependent on each other (heavily dependent in fact). Your U.S. government is greedy and enjoys taking withholding taxes on anyone who holds U.S. stocks, otherwise I am sure they would find a lot of American investors “living in Canada” with their accounts to avoid taxation. We can claw back the taxes at the end of the year with our tax returns, but I’d rather they take out 15% less during the year so I am not lending your government free money during the year. Thats amazing. every time I look at your numbers. smh. I have to take a min to read some of your advice on how to invest outside of retirement savings. I’d suggest index funds all the way. A good balanced portfolio of cheap index funds from Vanguard would be the way to go (U.S. or Canada). Contribution Room gets so confusing when money gets pulled out and put back in, etc! @Alicia @ Financial Diffraction: I KNOW! Isn’t this amazing? It would have been #6. Let’s see if I can keep this up for December. As for contribution room I want to scream when I see how inefficient it is. I have been very hesitant about buying American stocks in case the tax situation changes. I am buying to hold for the long run and I am worried about taxes when I sell in 10 years. Cheesecake is my favourite dessert and I want to hunt down Japanese cheesecake. @Jane Savers @ Solving The Money Puzzle: With American stocks (in index funds or not) you are taxed each year, that 30%. So whether you buy them now or not, it’s 30% for a withholding tax, which you can reduce down to 15% with that W8BEN. If you’re talking about Canadian taxes, you will be taxed as income if they are not kept in TFSAs (e.g. in your RRSP) when you withdraw the money. Japanese cheesecake is my ultimate indulgence.. it is usually found in bakeries, but I haven’t seen it around except in Japanese/Korean-centric areas. wow, your net worth looks like it’s the most it’s been this year! that’s awesome. i think the US government shutdown and all that crazy stuff made my stock values drop majorly…i don’t even really know, because i stopped checking for a while…haha. @neurosciency: I couldn’t believe it, even after all my spending!! !